Is it any good for music? Fakir, 29 Jan 2013I am using this phone more than 1 month some times it switched off and automatically on. Can a... moreDo system repair with Sony pc companion. Just make sure your phone is fully or at least 50 percent charged and completely off. lalit , 29 Jan 2013my mobile setting which one is languge by mistake anothe language how can i do englishSettings- language and input- language- choose your language. lalit , 29 Jan 2013my mobile setting which one is languge by mistake anothe language how can i do englishJust remove battary and again restart ur mobile, it will ask u for basic setup , set ur langauge and follow all the 6 stes given in set up guide. Collin, 29 Jan 2013why some of the apps cant move to sd card ? >< any suggestion Please ? . it is possible to move all your app to sd card but you have to root your phone first then look the APP2SD app from the market. that will take care of everything. AnonD-78995, 29 Jan 2013hello dear bro.... this fone never get jely bean...sony officially anounced..can you give me the link? any suggestion Please ? . is neo l is best phone for useing gprs,internet,3g video calling?is neo l touch screen is good ? 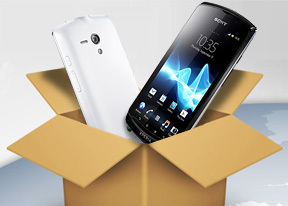 this fone never get jely bean...sony officially anounced.. USER, 29 Jan 2013Hey guys, have any of you encountered a promblem whereas your pics get scrambled and when you ... moreYeah I sometimes encounter that too..to fix it just go to settings, app, all app then find the gallery and clear data. I am using this phone more than 1 month some times it switched off and automatically on. Can any one give me solution for this problem. how can we use auto focus .........plzz help..
Hey guys, have any of you encountered a promblem whereas your pics get scrambled and when you try to click one picture, it shows a different picture? :/ what should i do? no matter how much i restarted it or took of the sd card, it still stays the same.